Highlights of the weekend's matches in the SPFL. Celtic v Hearts, Rangers v Motherwell, Inverness v Partick, Kilmarnock v Ross County, St Johnstone v Hamilton, Aberdeen v Dundee. current Celtic signed he called... Watching at Celtic Park photos. become record breakers. New signing has a five strain. -- acai strain. Johnsen. Here come Celtic. Options, one of them is Callum MacGregor. two mythic defending. -- wonderful defending. The shout box and ball. Hearts? This is a big opportunity for Hearts. been just like Celtic, let off on one end and sport up the other end. Hamilton with a saving from his own man. He was alive to the situation. produced. It finishes Celtic for, Hearts zero. They before they well. here are the statistics... Can this Celtic side go unbeaten all season? Abramoff Mott called beat. I was asked in November and wasn't sure. causing panic. He should play this with his right rather than his left. Well done Sinclair. Almost a carbon copy, not sure about the field back. for the shot. It is dumped clear by Mark Reynolds. no chance. Goal of the season. Don't be caught again. Chance for Maclean. A quick throw from Rooney and no wonder Scott Bain is frustrated. that we looked anything other than that we were going to win the game. lunchtime match with Motherwell. The second time in a week they have met. starting 11 but apart from that it was the team that lost at Ibrox. a wonderful ball in and McDonald should have put Motherwell in front. Samson. Looking for a goal on his first start for the Ibrox club. Samson got something on it and it came off. player. But he caught the player very high up. Definitely a red card. caught Kenny Miller high with your studs and that is dangerous play. For me it is a red card. They are a dime a dozen every week. the argument. We'll see another one, later in the game. Will you appeal? club. It was a good win for Rangers. Emerson Hyndman, what was he like? the right place at the right-hand why corn should have scored. really strong hit into the back. All round, very impressive performance. Very impressive defence as well from Scott McDonald on his own behalf. first league game we've lost, we're not looking as far back eight games. than three years at their home ground. it back. Another chance for County. Tim Chow couldn't get there. move from Kilmarnock who started the second half a bit more brightly. Clips the corner kick in. It took a deflection on its way over. of the match. Good block in the end. Something on the end for Dicker. made it into the 18-yard box in ten seconds is one of life's mysteries. the Hamilton midfielder on its way over. your virginity for Craig Watson. Should have been scoring here. for the season and get the Accies ahead. in. Danny Swanson with the corner. glaring miss St Johnstone make no mistake. Cummins making a nuisance of himself. Taking it out wide but keeps it alive. Cummins strikes again. early stage, you would imagine there is no way back for Hamilton. Imrie. up, he rolls it back for Brian Easton. Davidson! Game over. just about sums things up today. Both for Crawford and Hamilton. graphic shows the form has been there were good enough for Hamilton. Is Martin Canning under real pressure? It doesn't seem that way. have gone wide. Raven. Swinging its deep to the back. did not get onto the crossbar. And deny Azeez an opener. Sean Welsh. Azeez, holding it up. Erskine touched away by Williams. Azeez. Couldn't find the target with that effort this time. proper connection with the shot, though. scorer. -- in offensive positions. Welsh getting out to Lawless. Azeez! good to go, it is positive. This team were desperate to win the game. according to the Inverness manager Richie Foran before the game. top. Incredible record, 21 wins, one draw and no defeats. 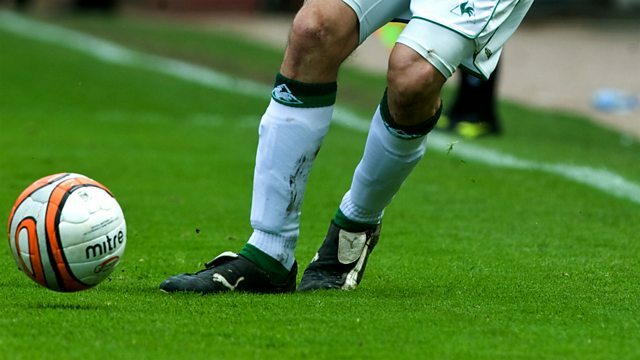 Jonathan Sutherland presents highlights from the weekend's Scottish Premiership matches. Celtic host Hearts on Sunday, while Rangers face Motherwell in the early Saturday kick-off. Also on Saturday, Partick visit Inverness, Kilmarnock play Ross County, St Johnstone take on Hamilton and Dundee travel to Aberdeen in the Friday night match.